Squirrel Talk: 2 in a row! Saturday afternoon came around warm and sunny and we headed to the Nack5 for once in glorious expectation. Ardija were coming off a great home win against the Urawa Reds and next up we would face the league's bottom team, the winless Consadole Sapporo. However the story is never that simple and Consadole have been labelled luckless on the J Talk podcast, so I am sure most Ardija fans would have found reason to temper their unlikely optimism. We managed to find two seats in the upper tier behind the goal at the home end, which is not always easy I have to tell you. I am not sure how early the Ardija faithful turn up to bag their seats, but we got their 45 minutes early and most of the stand was full. Overall it was a disappointing crowd of just over 8,000 fans that had turned up, but as kickoff approached both the home and away fans made some noise and the Nack5 was ready for some action. The action came quite early as Ardija pressed down our left with Shimohira taking up some good positions, and the midfield passing the ball well and having most of the possession with Carlinhos looking lively in the middle of the pitch. Indeed it was Shimohira who delivered a lovely cross from the left for Carlinhos, using his body strength well to get in front of the Sapporo defender and powerfully head the ball into the net. Carlinhos celebrated with joy and ran full pelt across the pitch and over to the dugout to celebrate with Jun Suzuki. A sign that the players still back our coach despite many fans starting to want a change in the Ardija hot seat?A great start and Ardija continued to have a lot of the ball, Shimohira continued to make inroads down the left, Cho pressed up front and Higashi was alas looking on good form, but the second goal remained elusive and as the game neared the half time break Sapporo started to come into the game more and in fact managed to get an equalizer in first half injury time through Takagi. Our defenders seemed scared to make a tackle inside our penalty box, time seemed to stand still as it felt like our defenders just started watching the game like us fans! So we went in at half time at 1-1 and despite a fairly solid and decent performance from the Squirrels, my feeling was that the momentum had swung to Sapporo. That feeling was born out in a second half display from Sapporo that got them almost everything apart from a goal, and the claims on J Talk podcast that Sapporo are an unlucky team, do appear to be right. The unluckiest player on this occasion was the Australian Jade North who had a superb volley and a header both cleared off the line by some desperate last ditch defending from Ardija. Jade North is a defender, but showed some real skill when in our penalty box, and later showed his defensive skills, by making some important tackles in the Sapporo box. Ardija were mostly restricted to playing on the break and fortunately for us they managed to get that crucial second goal through Takuya Aoki with a fine finish on 71 minutes. Aoki's goal turned out to be the winner, although Rafael had a great chance to make it 3-1 when through on the goalie, but he was unable to put the ball in the back of the net. Somehow Ardija held on, the ref blew his whistle and we had 3 points and a second home win in a row, whilst those plucky gallant men from Sapporo had nothing yet again. Two home wins in a row, Omiya sit tenth in the league, a point ahead of Kashima and Kawasaki, and 2 points ahead of our next opponents Kobe, who we will play away at on Thursday 3rd May. Is this a chance for Omiya to get a third win in a row and climb a little more up the table? Let's hope so. 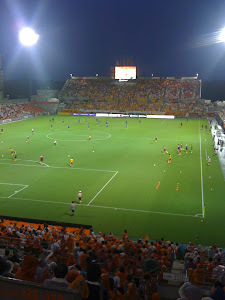 Let's go Omiya Let's go!